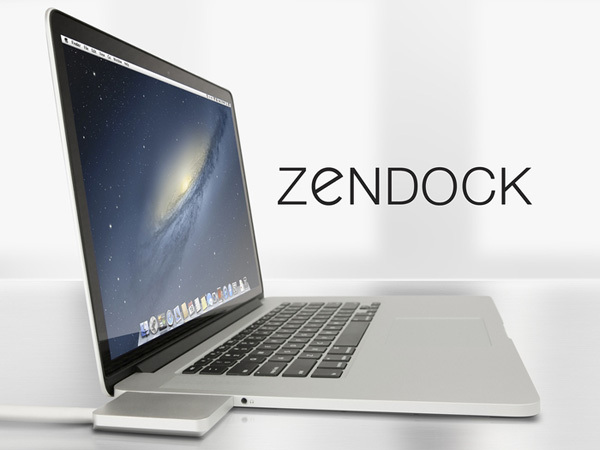 Zendock is a Project by cole Flouroy for Apple MacBook Pro dock, in which all your messy cable wires of your MacBook Pro attach in one simple connection. 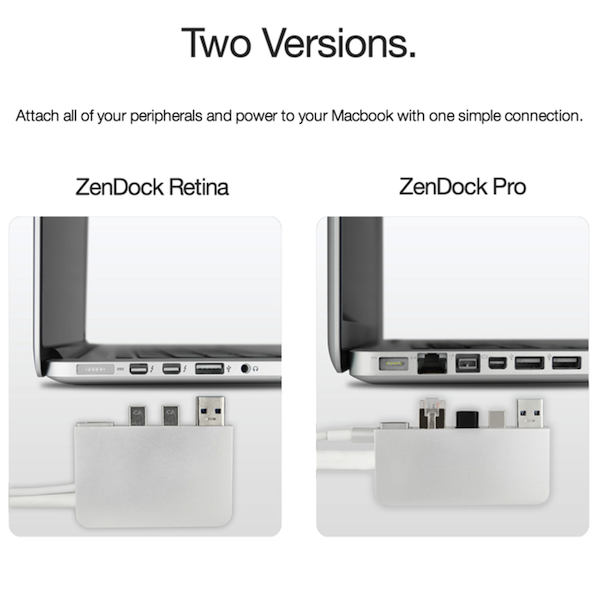 There are two models one is for (retina) MacBook Pro another is for MacBook Pro with 13, 15 and 17 inch compatible, ZenDock are made from aircraft grade aluminum it matches with MacBook Pro Body, Zendock connects to the MacBook's Thunderbolt, Gigabit Ethernet, USB, FireWire ports and the power adapter attached all-in-one port. 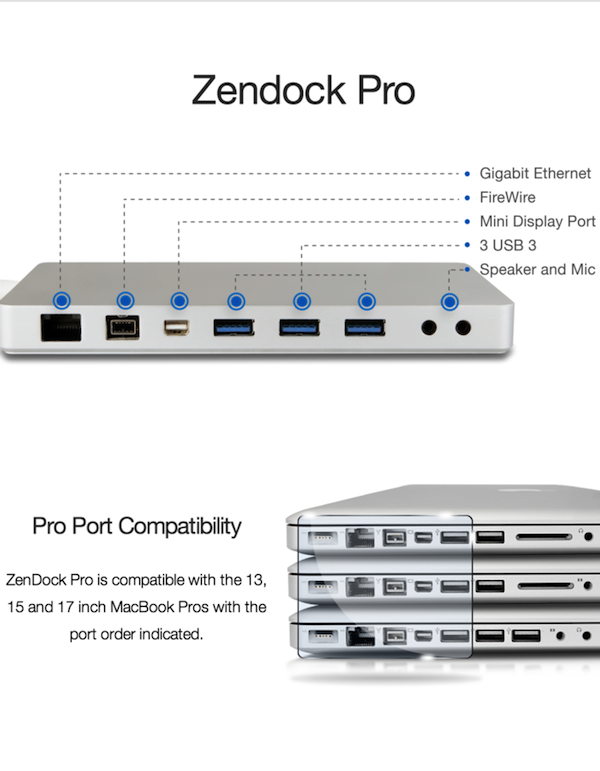 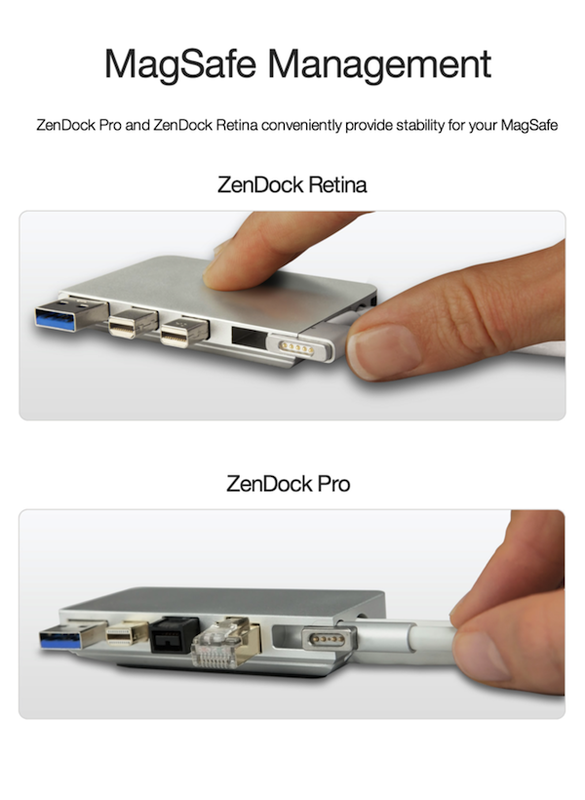 Help to make ZenDock a reality Pre-order on KickStarter.